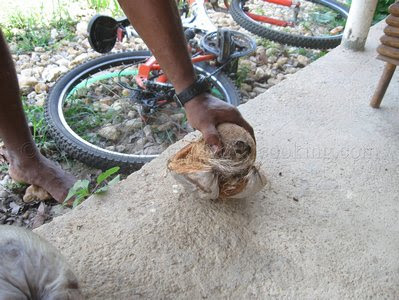 Today I just thought I would show you all how to husk a coconut. 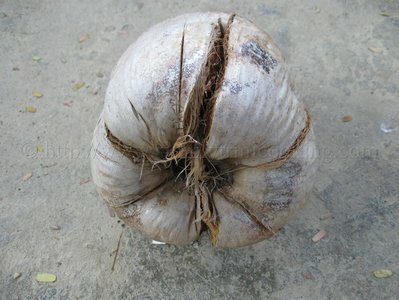 Husking a coconut is relatively easy and there are various methods. There are two such methods of husking a coconut that I’m aware of that we use here in Trinidad and Tobago. 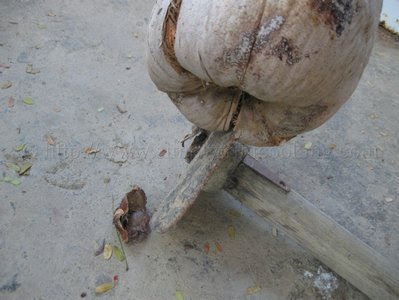 The first one I learnt, when I was young, was done using a hoe. 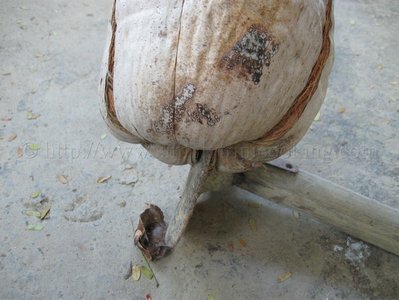 It can be a bit cumbersome at first, but you will soon get it. Start by making cuts close to the head of the coconut. 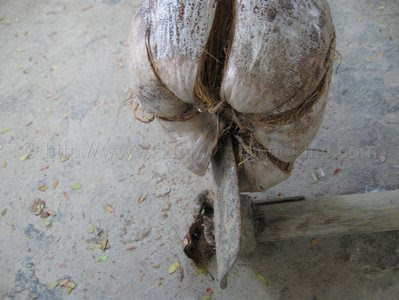 As you stab the coconut onto the edge of the hoe gently twist the coconut to open up the cut. 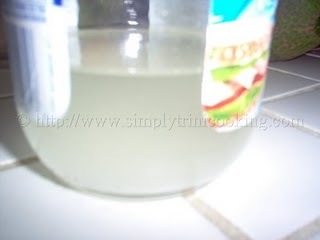 When the cuts are made you can go around one more time and twist some more to open up the cuts. 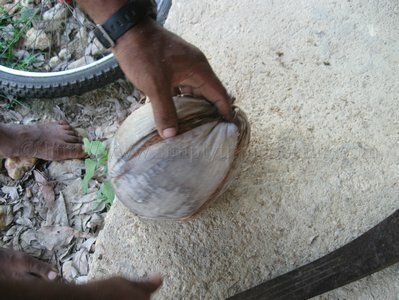 Now hold the segments and rip apart to reveal the coconut inside. 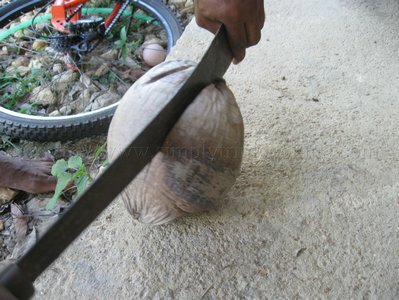 The second method, and probably more risky, is done using a cutlass ( machete). 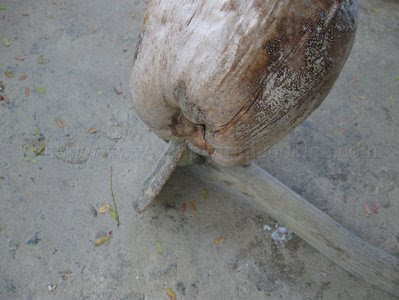 Using the cutlass will require more skill, but the steps are similar. 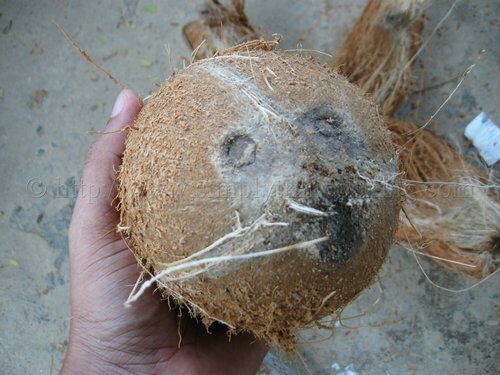 Be very careful, please. 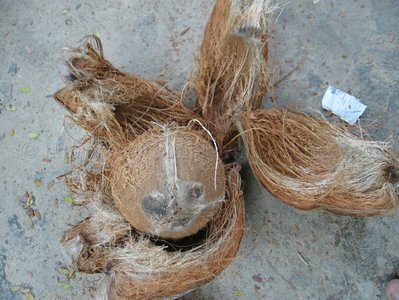 From the pictures you will see that all you have to do is to make segments into the husk then rip it apart. 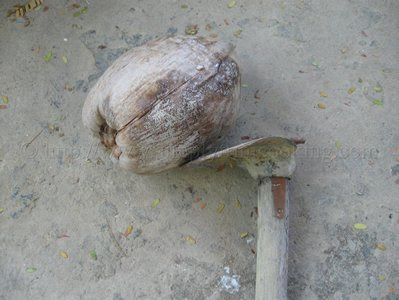 Chop close to the head of the coconut. twist the cutlass blade to open the cut. 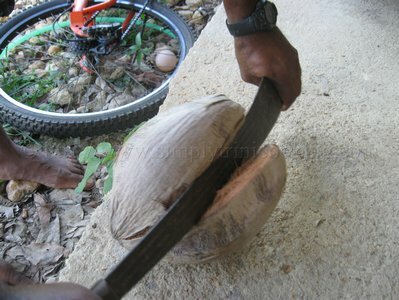 Continue making several cuts around the coconut. Remember to twist the cutlass each time. Well, that was simple. Just be careful if you’re trying the second method using the cutlass. 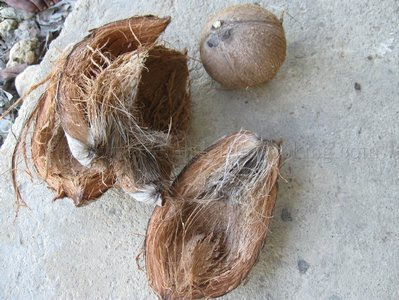 I’m interested to hear about other methods used to husk a coconut. Just leave your comments in the comment box below. More recipes to come.